We're back with another edition of Cricket News Today, your daily dose of trending news from the cricketing world. The Kiwis have gone one-up in the T20I series, with the second match set to be played tomorrow. Elsewhere, the Big Bash is on in Australia, while the Pakistan-South Africa T20I series ended with Pakistan winning the last game. At Sportskeeda, fans will always be in touch with the sport. Be it match day or even a boring, non-match day, there's loads to catch up on the cricketing front. It's heartwarming when athletes combine together to create a difference outside the playing field, through their feats on it. With help from Cricket Tasmania, the Tassal Tasmanian Salmon's started a new initiative that ensured a $1000 contribution per six, during the Hurricanes vs Renegades BBL game, for the Victoria Bushfire appeal. Staff at the Blundstone Arena went around the ground with collection tins to raise funds during the game. 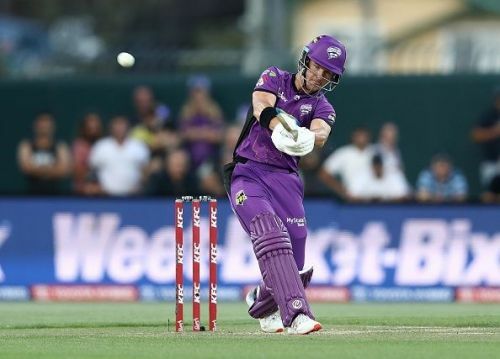 “We’re very happy to partner with Tassal on this initiative through our Hurricanes Foundation, as we know the devastating effect the fires have had across the State and many members of the Tasmanian Cricket Community have been impacted,” said Cricket Tasmania CEO Nick Cummins, according to the Hobart Hurricanes website. A total of 10 sixes were hit in the game, four of which came from Matthew Wade's bat.